This confused me though, because what it has launched is a way to send musical GIFs on Facebook messenger. And even then, they’re actually .MP4 videos – and I’m pretty sure I’ve seen music in videos before. The app’s available for iOS and Android devices, and provided you log in with Facebook – there’s no other option if you want to use it but you can look around without bothering – you get 100 free coins to get you started. It’s enough to unlock four free TuneMoji at 25 coins each. 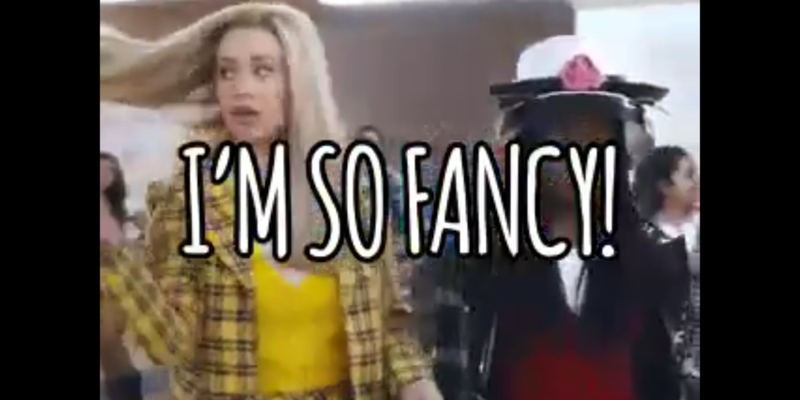 The end result is the GIFthing (video) set to an appropriate bit of music, like a few seconds of Iggy Azalea’s ‘Fancy’ with the words “I’m so fancy!” overlaid. Music is licensed from more than 50 artists, including Taylor Swift, Rihanna, Katy Perry, The Weeknd and Queen. Once you’ve shared your video, the recipient can tap it once to watch it in-line or double tap to make it full-screen. A long-press allows you to save the video to your phone. The store is broken down into categories, denoted with emoji, and scrolling sideways reveals more options. Additional coins can be purchased to unlock new videos – 100 for £1.49, 225 for £3.99 or 575 for £7.99. Once a video is unlocked, you can share it as many times as you like for six months. Right now, there’s no way of sharing them outside of Facebook unless you download to your phone and share in a another way – and frankly, I can’t imagine that being worth the effort. A spokesperson said the company will be integrating with other messaging platforms. It’ll also be made available outside the UK. He also explained that it’s called TuneMoji because musical emoji and stickers will be following along soon, which makes a bit more sense of it all.